The first meeting took place in May 1935 and a committee was soon established to run the club. Many members raced at Brooklands circuit but most Club activities were social. Then, as now, ownership of a car was not a condition of membership. Since 1935 the club has grown from strength to strength and holds a wide range of activities from local area meetings to race meetings, road touring holidays, Concours and social events. During the past 50 years the AMOC has had an increasing degree of professional administration. With help from the late Victor Gauntlett the Club purchased its own Headquarters. The Club is now based in a 15th Century barn located near Oxford, shared with the cars, artifacts and archive of the Aston Martin Heritage Trust. Club publications, AM Quarterly, Vantage Point (for the USA & Canada), AM News and the website carry news and reports of the many Club events around the world. The Club Register continues to be the leading authority on the history of the cars produced over the years. Enthusiasm and huge amounts of effort from both the professional headquarters team and the many volunteers within the membership ensures the AMOC continues to thrive. Visit the AMOC Website for further information. 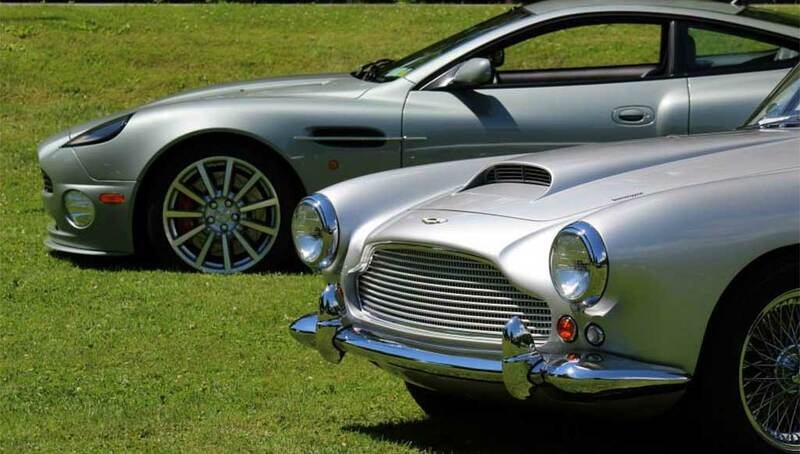 The Aston Martin Heritage Trust was established by the ASTON MARTIN OWNERS CLUB as a registered Charity in 1998, in order to preserve and develop the substantial heritage assets of the Club. At that time these comprised a largely un-catalogued archive of documents, photographs and memorabilia and a 1934 Ulster. This car had been bequeathed to the Club on condition that it would be available to Members for their use. Since its inception the Trust has continued to develop this Collection, now housed in a wonderfully restored tithe barn at Drayton St Leonard, Oxfordshire, where it is co-located with the Owners Club HQ. We have several cars on display including A3, the oldest surviving Aston Martin, which we acquired and had totally restored. Our full-time Curator continues to catalogue donated items and to provide a comprehensive display of AM artefacts, of interest to AMOC members or anyone with an interest in the evocative Aston Martin heritage. The Trustees’ aim and formal responsibility is to preserve and enhance this heritage. We are delighted to welcome visitors to the Barn and can discharge our educational responsibilities by providing library research facilities for scholars interested in studying further the history of the marque. In addition we hold two lectures per year, the Dudley Coram Memorial lecture and the Walter Hayes Memorial lecture, both of which explore the heritage in some detailed aspect. Visit the AMHT Website for further information. The largest ever gathering of classic Aston Martin models from our celebrated Feltham factory era made their way to Aston Martin Works in Newport Pagnell on Sunday 1 September as part of a special centenary road trip. More than 40 members of the Aston Martin Owners Club travelled to Newport Pagnell, 30 of them at the wheel of rare Feltham-built classic Aston Martin DB 2/4 or DB Mk III models. Images from the historic 101 car Aston Martin timeline display, a journey from the oldest surviving Aston Martin 'A3' through to the latest spectacular model 'CC100'. Displaying a clear development of the famous Aston Martin design language and a century of Power, Beauty, Soul.